Two automatic molding machines with clamping forces of 300T and 650T. 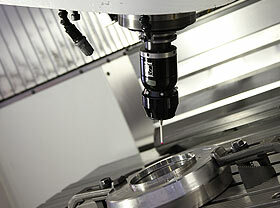 Main manufacturers — Hermle, Jung, Myford, Aba, WEILER, Hexagon Metrology, OPS Ingersoll, Mitutoyo, Talmec Srl, Lawitex, Kelch, Husky. Maintenance and repair of molds are carried out with the use of the most modern tools, machines and techniques. The wide range of various equipment allows to solve the most complicated tasks in the maintenance needed for molds and for the manufacturing of its different parts that need to be replaced. This allows to deal with molds used in many different industries such as packaging, car-assembling, electrical engineering, constructional and many other. Precision in the execution of all procedures related to the maintenance or repair of different molds heavily depends on the applied software as well. In our work we use CAD/CAM software for design and technological preparation of the production processes (Pro/Engineer), as well as software for production records and enterprise resource planning (SAP/Trimergo). 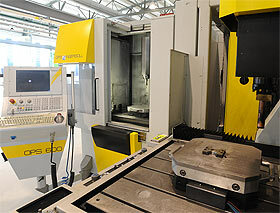 Matritsa has a high level of automation in its operations. It helps to provide the most important benefits to our clients and us, such as: services cost reduction, increases the accuracy and precision of our tasks, and generally reduces the operation time without any effects on the quality of work. Our company performs the widest specter of works regarding the repair of molds, as our equipment can effectively manage the most difficult requirements. In particular we can work with relatively large molds and their parts. These capacities are sufficient for the great majority of tasks related to maintenance and repair of molds. In case of nonstandard situations molds can be delivered in short periods of time to our partner’s plant in Finland, where the most complicated tasks can be further performed. The temperature of 20-21 oС is kept in all production, storage and auxilliary facilities by the means of an integrated system of climate-control. Constant temperature is a necessary condition for regular operations with different equipment and for the accuracy control needed while treating different types of steel. You can ask any questions, related to maintenance of molds and other related pieces of equipment, if you call: +7 (812) 318-34-90. 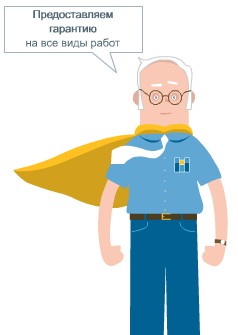 Our specialists will be glad to consult you on any technical matters or other technical specifics.